Satisfied customers can certainly attest to the fact that Ship Your Car Now representatives are dedicated to providing the best customer service and drivers available. They've rated Ship Your Car Now with 5 Stars on Transport Reviews! Whether you need to ship a car across country, to a new city, or overseas, they will work closely with you to make sure your vehicle is moved safely, and at a price that fits your budget. Their drivers are all insured and the company is bonded for your protection, and they will quickly match you with the drivers and routes that will get your car to its next location as quickly and safely as possible. "As many people do, I went online and got a general request and within seconds I got over 10 emails and phone calls. One of them was from Ship Your Car Now. 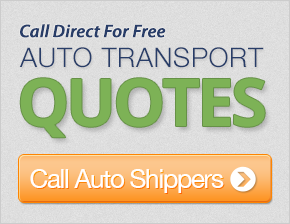 They took the time to explain how the car shipping business works and how quotes are given. They told me why companies give a low price and how they fail. Ship Your Car Now gave me the opportunity to bid a low price and within 2 days we got a shipper. My car was picked up on time and delivered on time. All types of vehicles shipped, whether small or large. From motorcycles to boats. Thanks so much, you were great with helping me with everything. Thanks for always being available. I was pleased with everything and I would definetly recommend you guys and use your service again! You have the best customer service representatives I have ever faced. Down to the earth and highly helpful. By all means, my sincere appreciation for everything. Driver was friendly and unloaded my car as if it was his. He took extreme care in unloading making sure nothing was damaged and I greatly appreciate that! I am happy with the shipment. I like that you use your own trucks and dedicated drivers to make sure of the integrity of the shipping. The driver was nice mannered and professional. Very helpful, very professional and resourceful. If we transport again we will definately use your company. It was a blessing for us and when we needed help you came through for us with flying colors! Everyone I dealt with was professional and my car was picked up within 2 days of my initial request. It arrived so quickly in perfect condition. Thank you very much! My vehicle was sent in a reasonable amount of time. You did a great job getting the car to me. Everyone was extremely friendly and helpful with my questions. I paid the rest of my bill to the driver. Thanks for your help. You guys are a rock stars. Very paitent and easy to deal with. Very, very happy with the overall service. Thank you! Everything about this car move was excellent. Everyone did such a fantastic job. Very helpful staff. I felt completely comfortable with the process being that this was my first time using a service of this kind. Once I decided on the carrier I felt comfortable with the overall experience was a very positive one. Excellent service! My car was shipped within 6 days from Sunnyvale, CA to Niskayuna, NY. Considering how other companies handled or did not handle my vehicle move, you were by far the most responsible company I worked with in this process. Both cars delivered on time. Thanks for for helping us get them here and on time! The shippment was great. Thanks! I am very pleased with the quick delivery. Thank you. This service was better than I anticipated. Our car was delivered the same night that we arrived in excellent condition. Thanks! Second time we have used your company for shipments and are very pleased. Thanks for the help in getting the vehicles to Haiti for our non-profit corporation.